C. Costello. (2015). Digital Footprint [Image]. A Digital Footprint is the record of your interaction with the digital world. You leave a trail of your digital footprints whenever you use technology online. This includes digital cameras, smart phones, iPods, tablets, laptops and computers. A Digital Footprint is like an invisible report card that accumulates over the years and is a general reflection of our online activity. In order to create a positive Digital Footprint, it is critical that we understand the permanency and implications, both positive and negative, of our online actions on our online identity. You may not realise but you already have a digital footprint. 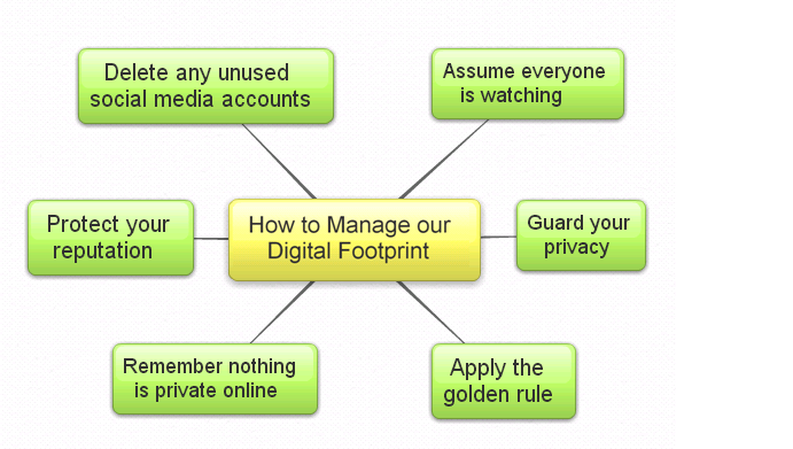 Why are Digital Footprints important? While it might seem that these footprints are harmless they do not disappear when you close a website or logoff your account and they have the potential to be good or bad for you now and in the future. 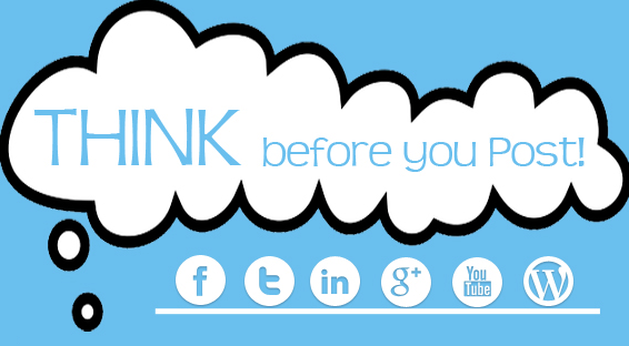 Your Digital Footprint should be considered as permanent as a tattoo; in fact some people call them digital tattoos. Digital Footprints are used in lots of different ways. Some people use them to work out what you might like and try to sell you things. A health service might store your information to help you if you are unwell. Someone might look at your footprint to work out whether they want to give you a job. In the future some universities, colleges and schools might use your footprint to decide if they will let you enrol with them. Some are already doing this. So it is important to make sure the footprints you leave behind will help you now and in the future. * Everyone has a Digital Footprint or digital tattoo. * Once something is online, it could be there forever. * Digital Footprints, or digital tattoos, can be used for both good things and bad. - Apply the Golden Rule - Treat others as you would like to be treated yourself. Don't post photos or comments that show others in an unfavourable light. 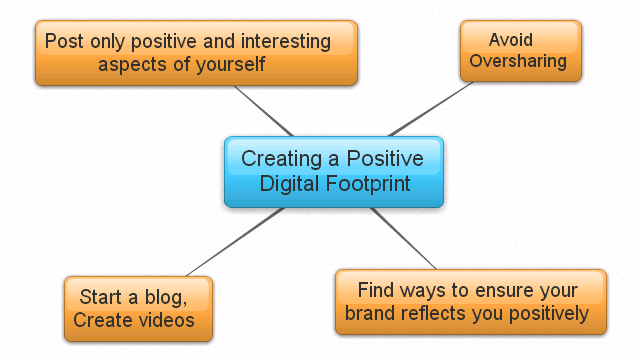 How can we create a positive Digital Footprint or Personal Brand? - Post only positive and interesting aspects of yourself to give others a good impression of your personal brand. - Find ways to ensure your brand reflects who you are, what you stand for, your passions and beliefs. - Start a blog, a Facebook Group, create videos or podcasts. These can be about a hobby, sport, personal interest or civic activity. Does your social media profile show you in the best possible light? 1. Google yourself and all your online personas, aliases, email addresses and profiles and examine your digital footprint. 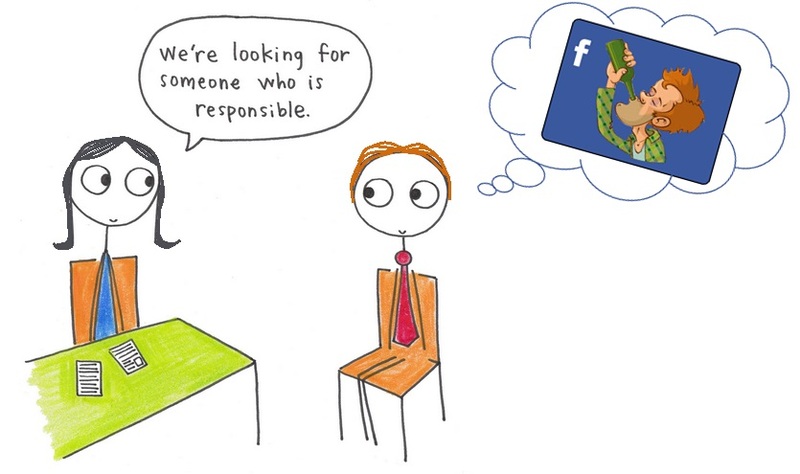 Reflect: What does my Digital Footprint say about me? - Do I portray myself online in the best possible light? - Did I find things I am proud of? - Did I find things I am NOT proud of? - Are there some things I would Like to change? - How can I represent my personal brand better in future?